OSSINING, New York (WABC) -- There is great news about an adorable young boy from Westchester County who has been battling lymphoma. Doctors delivered the great news that he is cancer-free Tuesday to 5-year-old Gio Toribio. 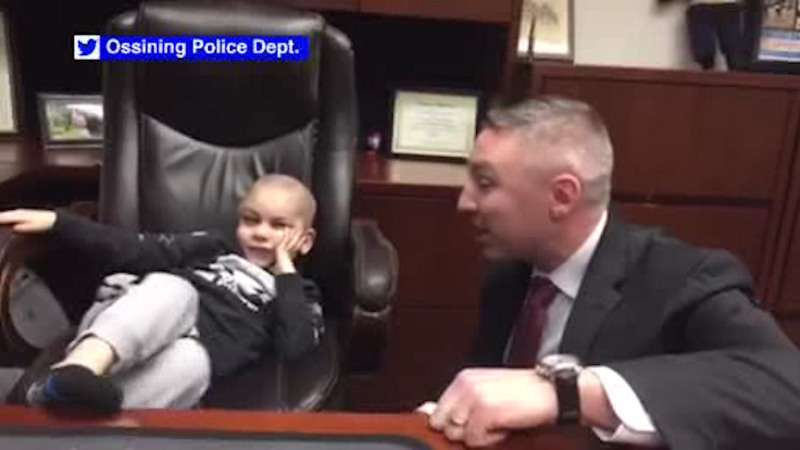 Afterward, he visited his friends at the Ossining Police Department. You may remember back in November officers there surprised Geo by making him "Chief for the Day."